Mediators working on behalf of California prisoners on hunger strike are calling for an independent investigation into the July 22 death of Billy “Guero” Sell, a prisoner held in solitary confinement at Corcoran State Prison and a participant in the 3-week-long hunger strike that has shaken the California prison system. Sell’s death is being ruled a suicide by the California Department of Corrections and Rehabilitation (CDCR). Prison officials met with mediators last Tuesday, but failed to disclose the fact that a hunger strike participant had died the previous day. We urge CDCR to ensure that no prisoner on hunger strike be disciplined or threatened with the denial of medical care, that prisoners not be denied liquids, vitamins or any other form of sustenance they are willing to take, and that they receive appropriate medical care. We demand all medical professionals uphold their code of ethics and maintain the highest standards of care for all their patients – be they incarcerated or not. Finally, we call upon Governor Jerry Brown and CDCR Secretary Jeffrey Beard to enter into good faith negotiations with the prisoner representatives, and to respond to their demands, in order to end this crisis before more lives are lost. A complete copy of the health providers’ letter is attached and pasted below. For the third time in three years, thousands of prisoners in California are currently on hunger strike, protesting the widespread use of punitive long-term solitary confinement in the Security Housing Units (SHUs), in some cases for over 30 years continuously. The current strike began on July 8, and over 1,000 prisoners have now gone over two weeks without food, supported by over 30,000 who abstained from eating for shorter periods. 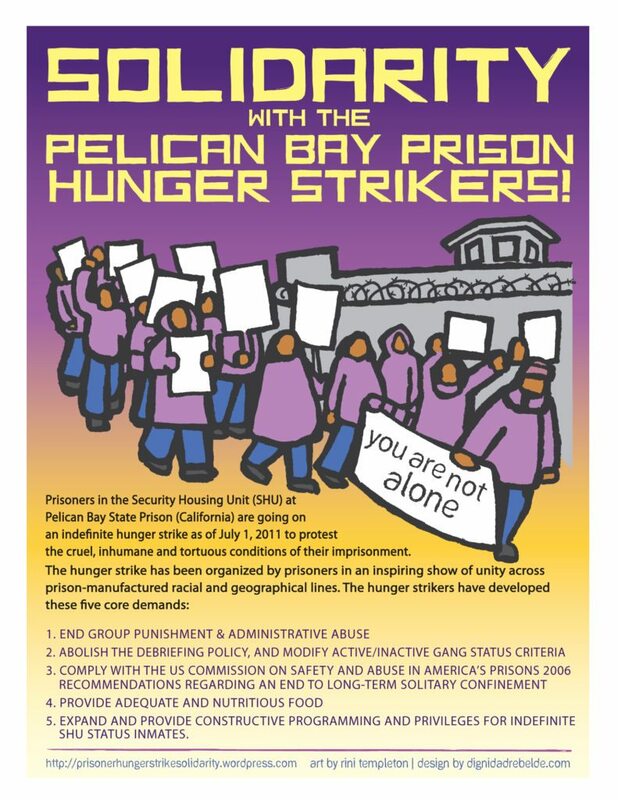 Two years ago when the 2011 California prison hunger strikes mobilized over 12,000 people at their peak, the State agreed to make significant improvements in prison conditions; but has not carried through on most promised changes, particularly regarding use of long term and indefinite isolation. Medications are being withheld in an attempt to coerce prisoners into abandoning their protest. According to attorney Marilyn McMahon, pain relief medication in particular is being withheld, “even if it’s medicine that should not be cut abruptly, but instead tapered off.” In one case a patient with heart failure has had his medications discontinued on the dubious assertion that he doesn’t need them because he’s on a hunger strike. Prison medical staff are required to monitor the health of prisoners on hunger strike, yet we hear that some institutions are violating this protocol, including not weighing the hunger strikers as required. There are also reports that nurses who are required to conduct daily checks are simply advising the prisoners to drink a lot of water. In other cases physicians have been dismissive of patient complaints, prisoners in need are being refused care and ignored, and in some cases even mocked by the very healthcare practitioners they are supposed to be able to depend upon for care. Some prisoners have told the prison authorities that they are refusing solid foods only, but CDCR refuses to provide them with liquid sustenance other than water, and guards have even confiscated any such liquids that they had in their cells. Many prisoners have indicated that they are not being provided with medical release form #7385, which they need to send to their loved ones, family members or to outside supporters so that these people on the outside can access their medical records. Several prisoners have been reclassified as “not on hunger strike” because they have been accused of having food in their cells. This means that they “have to start over” and go 9 consecutive meals before being considered on hunger strike again, regardless of whether or not they have in fact broken their strike. Determining who is on hunger strike in such an arbitrary manner means that prisoners who may not have eaten for weeks will be dropped off the list for medical oversight. 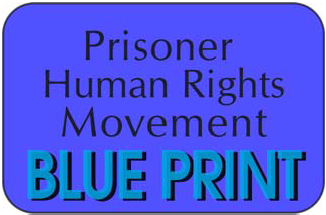 Similar denial of appropriate medical monitoring and medications occurred during the 2011 prisoners’ hunger strikes, and led concerned medical professionals to issue a statement condemning such coercive neglect as both unethical and illegal under California Penal Code Section 673. Furthermore, such acts of deliberate indifference to a patient’s serious medical needs constitute a violation of prisoners’ Eighth Amendment Constitutional rights. Today, we the undersigned find ourselves tragically having to echo the statement of two years ago, in registering our grave concern about these allegations, and in strongly urging Receiver J. Clark Kelso and the California Medical Board to investigate these claims. We urge CDCR to ensure that no prisoner on hunger strike be disciplined or threatened with the denial of medical care, that prisoners not be denied liquids, vitamins or any other form of sustenance they are willing to take, and that they receive appropriate medical care. We demand all medical professionals uphold their code of ethics and maintain the highest standards of care for all their patients – be they incarcerated or not. Finally, we call upon Governor Jerry Brown and CDCR Secretary Jeffrey Beard to enter into good faith negotiations with the prisoner representatives, and to respond to their demands, in order to end this crisis before lives are lost. Please note that all organizational affiliations are being listed for identification purposes only. Miriam Garfinkle MD; Toronto, Canada. This statement has also been endorsed by Sanctuary Health Collective (Coast Salish Territories), the Melbourne Anarchist Black Cross and the National Jericho Movement. ← 24 Hours of Actions for the 5 Demands! in S.Q.S.P my brother told me that the inmate had to bang on there cells for about ten min. while the tower gard watch before he call man down. I am wondering where do these people working for correctional institutions get their training for cruelty, torture, ignorance and heartlessness for others? Are there any special schools in this country they graduate from? How can a human do such harm to another human? Or maybe they come from another planet? How can a human to such harm to another human? Ask Mr. Sell…….who murdered his cell mate in 2007. I support Prisoners Rights…..but I also understand the laws of Karma….Sell was not some kind of special love human…he was guilty of murder, and serving 2 life sentences for attempted murder. We need global intervention in order to defend African-Americans. White Americans abandoned Black citizens to unrelenting, comprehensive attack for over 30 years. Let’s admit that, and call for UN forces to intervene before it’s too late. Let’s shame this murderous nation before the eyes of the world. Let us prove to the strikers that their comrade did not die in vain. Oh YEAH, We All Believe Your Brother, CDCR officers Dont CARE.